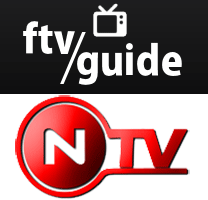 How to remove FTV Guide Channels to match NTV channels can complement the integrate FTV Guide with NTV tutorial which combines the power of these two excellent Kodi XBMC plugins for expat IPTV. However, I did notice my channel list was quite long and I spent a lot of time scrolling through the channels. There are 324 channels (maybe more) that FTV Guide supports and creates an EPG for which is a lot of channels. You may only watch 10 or 20 channels that have large gaps between them so if you want to watch channel 53, getting there from channel 2 can be a long scrolling ride. This guide shows you how to remove channels you don’t use from FTV Guide for a more pleasant browsing experience. I show two ways, the long way which is done in the FTV Guide plugin and the shorter way which involves editing the FTV Guide SQLite database directly. It will work with both UK and US channels for any EPG guide template FTV Guide supports. I will assume you already have the Kodi Plugin FTV Guide installed. In case you need an NTV account register here or if you wish to read the NTV Review see here. Scroll up and down and click on the channels you want removed so the yellow play sign turns into the no smoking sign. Any channel with this white crossed out symbol will not be shown in the EPG programming list. This method is faster but requires you to locate the FTV Guide SQLite database file and copy it to a computer to edit. You should of course back up this file! FTV Guide stores the channel list in an SQLite database so we can edit that on a PC and transfer it back over. On Windows you will need to enable showing of hidden folders and files to be able to see the AppData folder in your Windows user folder. Find the source.db file located in for example: C:/Users/HTPCGuides/AppData/Roaming/Kodi/userdata/addon_data/script.ftvguide and make a backup of it. You will find it in a similar location on OpenELEC or OSMC or other Kodi based systems like Kodibuntu. Click the Browse Data tab. Under the Visible column, change all channels you wish to be hidden to 0. All channels that show 1 under visible will be present in the FTV EPG Guide. 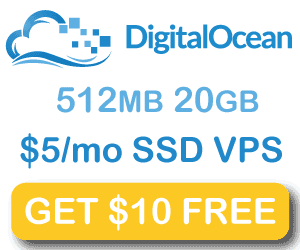 This means if you make a mistake you can just change the visible value without having to reset the database. Ctrl+S to write the database changes. Copy the now modified source.db file back to its original location. Now load up the FTV Guide plugin and see your cleaner list.